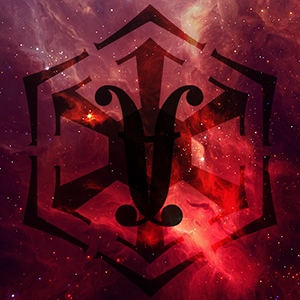 In order to transcend the limitations of that world, Through the rise and fall of many a Sith and their power, our glorious Empire must be built on foundations older and stronger than any single Emperor or Dark Council member. A people united in harmony to uphold the traditional values of the Sith, working together for the greater good of our people, and to remind all else what every Imperial should stand for. As a song dips in and out of verses through its story, it always returns to the chorus, the true meaning at its core - and so begets The Dark Chorus. Guided by the powerful hand of Darth Moros The Thrice-Slain, we are far reaching, touching each Sphere of Influence; we are merciful as well as we are cruel; and through our own guided ruthlessness we will break the chains of the galaxy's blind will with our own song. The Dark Chorus is a collection of like-minded, Imperial aligned roleplayers on Satele Shan that are aiming to create a small-to-moderate sized guild to contribute to Imperial roleplay. Outside the flavour of the above text (rawr, devote to the Empire or die rawr! ), we are really just here to have fun! The Dark Chorus is simply a collection of Imperials being Imperial, accessible to RPers wanting to do any kind of Empire-related plot so long as it stands within reason. We wanted a base-line Empire-side guild without a narrrow theme that could incorporate lots of different kind of Roleplay from new to seasoned players. There is a basic hierarchy, mostly used as an IC guideline for where one may like to situate their character - and our patron, Darth Moros, is a purely NPC presence that the officers will use to help guide and instigate plot, and that other guild members man utilize or 'appeal' to. You may find our Guild Charter here. This is the current structure of our hierarchy. All Imperial RPers loyal to the Empire are welcome!